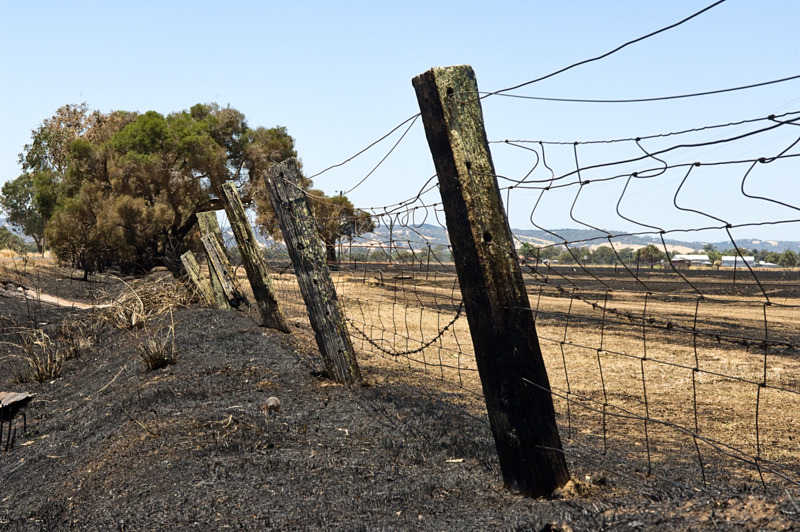 Fires, floods and dry seasons create a feed shortage for affected livestock. To resolve this, you may buy in or accept donated feed, or you may agist your animals on another property. Both of these actions pose a biosecurity risk of introducing pests, diseases and weeds to your animals and your property. The recommended steps for livestock producers are below. Ask the vendor/donor for a commodity vendor declaration: this will outline any chemical treatments and weed/toxicity risks in the feed and withholding periods for chemical treatments. Ask if the feed has been tested for annual ryegrass toxicity (ARGT) to reduce the risk of ARGT poisoning. Check that feed for cattle, sheep, goats and other ruminants is free of any animal matter (known as ‘restricted animal material’). If you are selling or donating feed to other stock owners, provide them with a commodity vendor declaration from Meat and Livestock Australia. Inspect the stock feed for visible signs of pests and weeds. To minimise the chances of a pest or weed establishing if it is present, feed out in paddocks in the same place each time and inspect the area for new weeds or pests on a regular basis. This will confine any problems to a defined area, making it easier to eradicate. water quality and quantity are suitable for the type of livestock. Ask the owner for a written record of any recent paddock chemical treatments so that you can comply with withholding periods and vendor declaration requirements. Additional animal welfare measures may be required if stock to be agisted have suffered injury from the fire. They will need to be regularly checked by the owner or the agistee. Put in writing who is responsible for this and who is responsible for calling a veterinarian and any associated fees. See assessing sheep after a fire, assessing cattle after a fire, and agisting livestock after a fire for more information. When moving livestock to or from agistment, use a valid waybill and record the movement on the National Livestock Identification System (NLIS) database. Owners without a waybill book can apply for an emergency permit to move livestock when there is an urgent need. Western Australia exports about 80% of its livestock and livestock products and our trading partners require traceability of livestock movement. Department of Primary Industries and Regional Development (DPIRD) staff can assist with property identification codes (PICs) or NLIS questions. When stock return to your property from agistment, hold them in a separate isolation paddock for at least a week to assess their health status before returning them to the general livestock paddocks. Ideally the isolation paddock should be located close to the homestead so stock can be regularly inspected and any emerging weeds brought home with returning stock can be identified and controlled. see Farm biosecurity – livestock. Growers who bring grain or feed onto their property will need to put in place a plan to minimise any chance of introducing pests, diseases and weeds into their crops. When buying in feed, ensure you know the biosecurity status of the property it comes from and inspect the feed for pests and weeds before feeding out. To minimise the chances of a pest or weed establishing if it is present, feed out in paddocks in the same place each time and regularly inspect the area for new weeds or pests. This will confine any problems to a defined area, making it easier to eradicate. Any purchased seed should be certified free from pests and weed seeds. clean out and wash down the machinery before coming onto the farm or clean out at a site away from future grain production areas. give this message to the organisers of volunteers. Utility providers, such as power and water providers, should also check and clean vehicles and machinery before going onto farms to repair infrastructure. Keep a register of all vehicles and people entering the farm.